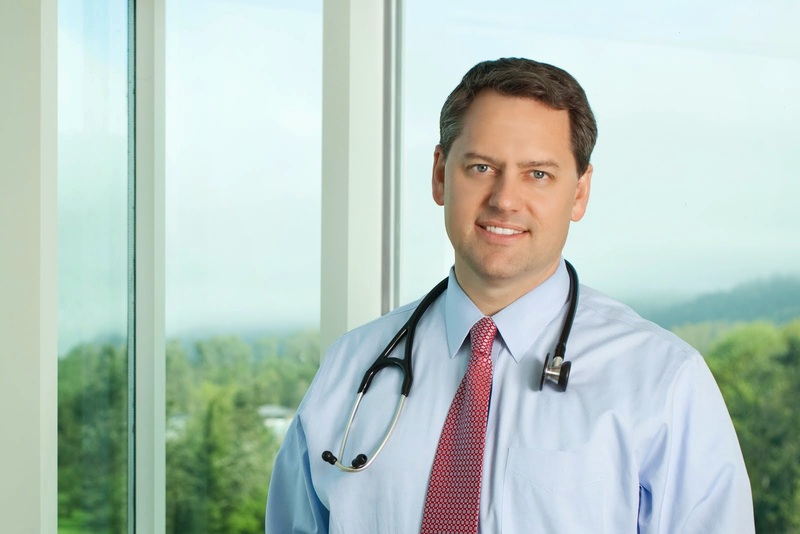 Dr. Sharman's CLL & Lymphoma Blog: Cure for CLL & NHL?.... or just better control? Newsflash: Magic Johnson has HIV! I grew up in Southern California during the Lakers and Celtics rivalry. At the time, Magic Johnson was a living legend. The way he elevated the play of all his teammates was truly extraordinary. So when he announced his diagnosis with HIV the sports world collectively gasped. My hero had been given a death sentence that we had all seen many times before. He was certain to die a horrible wasting death. Purple skin lesions, muscle wasting, and infections would transform the sports legend into a pathetic state and we would see it slowly chronicled by our tabloid press. Newsflash: That was 22 years ago and Magic Johnson is doing great. What changed? Dedicated scientists learned the biology of HIV, figured out where it was most vulnerable, designed rational, smart, effective, less toxic drugs. They figured out how to put them together into powerful combinations. They figured out how to monitor for mutations that conferred resistance, how and when to change therapy. They figured out how to go from 70 pills per day to two pills per day and patient compliance went up – resistance went down. Side effects of treatment became much less. When the global research community galvanizes against a task – huge changes are soon to follow. The lessons from HIV serve as the foundation for where we are now in CLL and in some types of NHL. While we may be starting to hit our stride twenty years after HIV, the pace of change has exploded so we will catch up soon – and maybe even do better? The main question many patients rightfully ask is whether this progress will lead to prolonged disease control or actual cures. When HIV was changed by the explosion of new drugs 20 years ago, it took a number of years to figure out how to put all the progress together to achieve the prolonged disease control we can observe today (such as Magic Johnson) but patients are still taking their medications and we do not think that a cure has been achieved. Will the same be true in CLL/NHL? I’m not sure yet…. I had the pleasure of hearing a lecture at ASCO this weekend by Charlie Sawyers. For individuals like myself who think in bizarre protein names, listening to someone as brilliant as Dr. Sawyers describe the multitude of discoveries his team has been a part of and to put it into one story is beyond compelling. I need to take a detour into prostate cancer in order to talk about CLL. After working out a lot of the science of resistance to Gleevec in CML and helping create the “second generation” of CML drugs that are incredibly effective, Dr. Sawyers decided to leave CML, move across the country,and turn his sights on prostate cancer. So we got smarter. Prostate cancer is one of the diseases that have been revolutionized inthe past three years. We have a ton of new rational drugs and Dr. Sawyers is taking all of us to school by figuring out how prostate cancer is adapting to the new drugs. One thing both cancer and HIV have taught us is that single drugs do not control the emergence of resistance. Give a patient with HIV a single drug, and the disease control is fairly brief. Give a man a single drug for prostate cancer and it too will eventually figure out a way around the drug. In this case, the prostate cancer can either activate another receptor that acts like a surrogate for the testosterone receptor (the glucocorticoid receptor) or just get a mutation in the testosterone receptor that makes the drug useless or in some evil cases can even make the drug act like it is turning the testosterone back on. What is cool though is that you can test for that mutation and in some cases it may suggest an alternative drug could work. This is the same story we saw in chronic myelogenous leukemia. The BCR-Abl protein causes CML. Give it Gleevec and some number of cases can become resistant. Other drugs can sometimes recapture disease control. Sometimes “compound mutations” can render the second drug ineffective. Sequential single agent therapy creates sequential mechanisms of resistance. I recently wrote about ibrutinib resistance in CLL. I went to the poster session on last Sunday where Joe Buggy presented his team’s findings (shout out to Joe for having had the ride of a lifetime sticking with ibrutinib from the very beginning - couldn't have happened to a nicer guy). While it is only a few cases right now, there have been at least four cases where the binding site for ibrutinib on the BTK molecule gets altered and the drug stops working. There was one other case where the mutation was in a different protein but the same chain of enzymes downstream of the B cell receptor. This highlights a very important theme that cancer can outsmart effective drugs if given the opportunity to do so. We just need to be smarter and take away that opportunity. Interestingly those two different types of ibrutinib resistance would be predicted to be sensitive to idelalisib. In HIV and even some of the lymphomas, combining drugs was key to progress. Think R-CHOP for DLBCL or FCR in CLL. What would happen if patients were on BOTH ibrutinib and idelalisib? (this has NEVER been studied and is not recommended outside of a clinical trial!) Why would a patient develop a BTK mutation if it didn’t let them escape the idelalisib? I wager that once the tidal wave of coming drugs in CLL gets approved you will see a dramatic increase in the number of studies where targeted biologic drugs are combined. Indeed, some of those studies are taking shape now (link and link). While patients are not particularly excited about taking a bunch of pills, I dare say that that is a problem we can only hope to have at this point. It sure beats taking multiple different chemotherapies with all of the attendant side effects. Another lesson of HIV was that the more disease that is present, the faster you will see resistance. If you have a trillion little viruses all working out their mutations, one is more likely to get it right than if you only have ten thousand viruses. We see this in CML too. CML is “staged” differently than the normal stage I-IV. In CML someone with very advanced disease may have what is called “accelerated phase” or even “blast crisis.” Gleevec doesn’t really work so well there. If you get disease control, it is often brief. With a ton of cancer cells, they will find a way around any selective pressure. On the other hand, if you get to a level where we cannot detect your CML, chances are you are set for life provided you stay on your drug (although trials are starting to show that SOME patients may be able to stop therapy). I think we will see the same thing with CLL – and it makes me wonder how long it will take before we revisit the appropriate timing oftreatment in the disease. Nobody does watch and wait in CML. For the time being though, the reasons for starting therapy are pretty well set. Provided those conditions are met, we would be wise to figure out combinations that get rid of as much CLL as quickly as possible. By now, most patients are aware that in CLL, taking ibrutinib or idelalisib causes the white blood cells to go up and then slowly drift back down. Meanwhile the lymph nodes rapidly shrink and stay down. This is because the cells are merely getting shuffled around from a place where they are happy (lymph nodes and bone marrow) to the blood (where they are unhappy). Starting these drugs do not really eradicate a ton of cells right away though over time the cancer cells die off (death by neglect – a topic for another time). We have already seen results where these drugs are combined with rituximab, ofatumumab, or several chemotherapy regimens. I am very optimistic about what we are seeing in these studies. I’ve had patients ask me though why we need to add the chemo on top of the non chemo drugs. For some, it probably feels like as doctors we can’t give up a bad habit. I might take the opposite angle and speculate that by removing a bunch of cancer cells we may allow the ibrutinib or idelalisib to be exposed to fewer CLL cells seeking to become resistant. Most patients I’ve talked to are hoping that we will be able to combine these drugs with other “targeted” agents instead of chemo. For a variety of reasons, that is unlikely until some of the drugs get approved by the FDA – but it isn’t that far away. Another lesson from HIV is that no patient can take 70 pills per day – even when they are purposefully trying to be good patients and take all of their drugs. Some have to be taken with food, some have to have an empty stomach. Some make you tired, and some get you all amped up. The problem is that treatment adherence drops the more complicated our regimens become. When adherence drops, resistance emerges. Patients with HIV can now take a single pill that combines several medications. One in the morning and one at night is all some patients require (Thank Gilead for that!). Sometimes adherence is not about swallowing all of your pills at the right time, sometimes it is about not being able to afford the medications. I’ve recently written on this topic and heard insightful analysis of how much the health system can afford these drugs. It is bad enough when they are given individually but few have begun to even consider the cost of putting them all together. If each one is 100k / year and a patient is taking two or three at a time – yikes. In CLL there are two VITAL pathways – those are the B cell receptor pathway (with several key targets including Syk, BTK, and PI3K) and the BCL-2 cell survival protein. I’ve written much more about the former than the later but both can now be targeted with incredibly potent research drugs. Furthermore we have figured out how to recruit the immune system through very effective antibodies (rituximab, ofatumumab, obinituzumab) as well as several others working through the system. There is also lenalidomide which can “re-boot” the immune system to target CLL (not approved for that purpose but being actively studied). We have four totally different ways to hit key aspects of CLL cell survival – that can be independently targeted – without ANY chemotherapy. Dr. Sawyers challenged the cancer research community with several lessons in his lecture 1) sequential monotherapy generates sequential mechanisms of resistance 2) combination therapies reduce risk of resistance by eliminating the total amount of disease faster so that fewer cells or viruses can experiment to find escape mechanisms AND making it harder for a single mutation to escape multiple drugs given at the same time 3) regimens do not work if the patient does not take them. In the past, when you have been able to combine several effective treatments at the same time, that has been when you started to see cures – will we get there in CLL? It will take a handful of years to figure out the safest, most effective way to put these together but there is more reason for optimism than ever before. In CML a small number of highly selected patients have been able to stop their medications (under extremely controlled clinical trial conditions) and their disease has not come back after a few years of observation. The longer they go that way, the more everyone is starting to believe they have been cured. I believe some of our new CLL drugs are in the same league as gleevec but instead of only one target we have many (syk, btk, pi3k, CD20, CD37, BCL-2, cereblon). So will we have a cure or prolonged control? Let’s just say, I’m glad I know how to treat a bunch of different types of cancer… I would hate to be out of a job.